Repair services for your damaged artwork and frames. 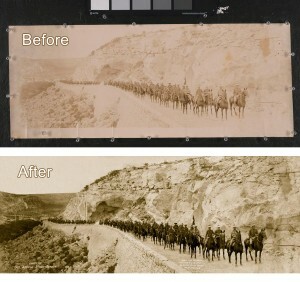 The main goal in art restoration is to bring the artwork back to as close to the original state as possible. We have a digital studio with equipment and software specifically designed for photographing artwork. With this equipment we can produce a high quality-digital fine art print, known as giclee, that will closely match the original. Our restoration team works in collaboration with local artists and other restoration experts to ensure the highest quality repairs to original artwork on paper, canvas or board. Whether your frame was damaged in shipping, fell off the wall, or needs some TLC, we combine the best of old world methods with the latest techniques and materials to repair damaged frames. 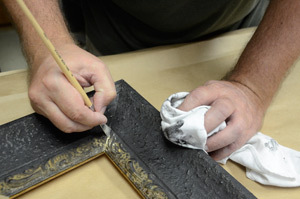 Our repair experts can restore most frames, from an ornate plaster frame to solid hardwood frames.